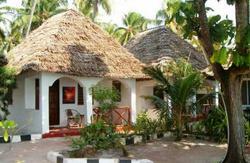 Shehe Bungalows is Located on the east coast of Zanzibar Island, at Jambiani Village. (A small fishing community Village). 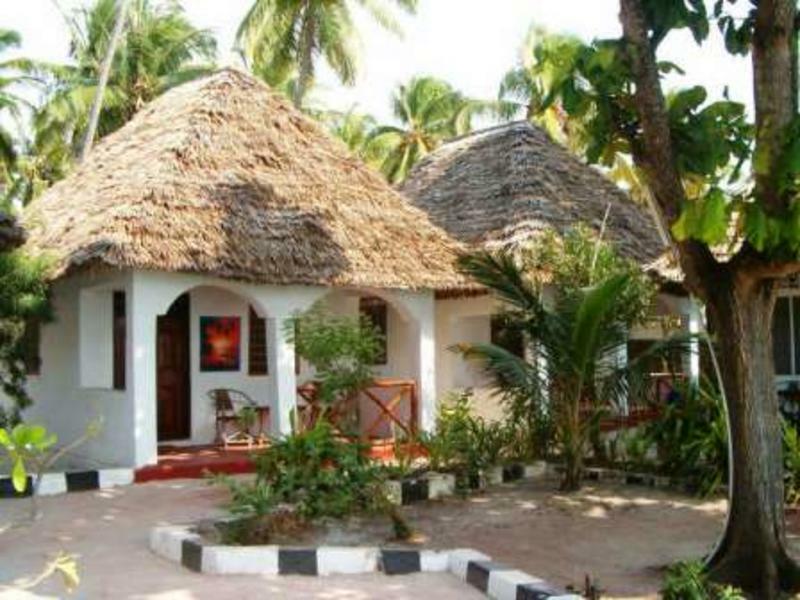 We have 20 palm roof- thatched beach bungalows, setting in the gardens just a yard to the white sandy beach of Indian ocean.All bungalows have un-blocked sea view. The rooms are spacious, airy and are decorated with stunning Zanzibar design. All of them are fitted with mosquito net, mini fridge, ceiling fan, private bathroom and terrace. The rooms are in single/twins/double and triples arrangement depend on the clients preferences. The Location is peppered with stunningly beautiful beach and turquoise blue water with fringing coral reefs which make for perfect Diving expeditions, Snorkeling, Sailing, Fishing. The place is ideal for singles, couples and families alike. It is haven for pure relaxation sunny holiday. We also have a lovely thatched, open-sided beach restaurant and bar, that serve Lunch /Drinks and dinner.We also have 24 hours security for the protection of our guests. We also have daily rooms cleaning and bed clothes changing. Zanzibar is in the Indian Ocean, about 25 miles off the Tanzania coast. 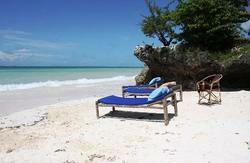 We are easily accessible, situated on the east coast of Zanzibar at Southern side of Jambiani village. It is 45 kms from Zanzibar Town Centre or International Airport or Port. It take 40 minutes by a car. You can get to Jambiani by local Bus 'Dala Dala' no.309 that operates twice daily or You can take/hire tax that should cost not more than $45, or other alternative We can come to pick you up ourselves from Zanzibar centre for $45.